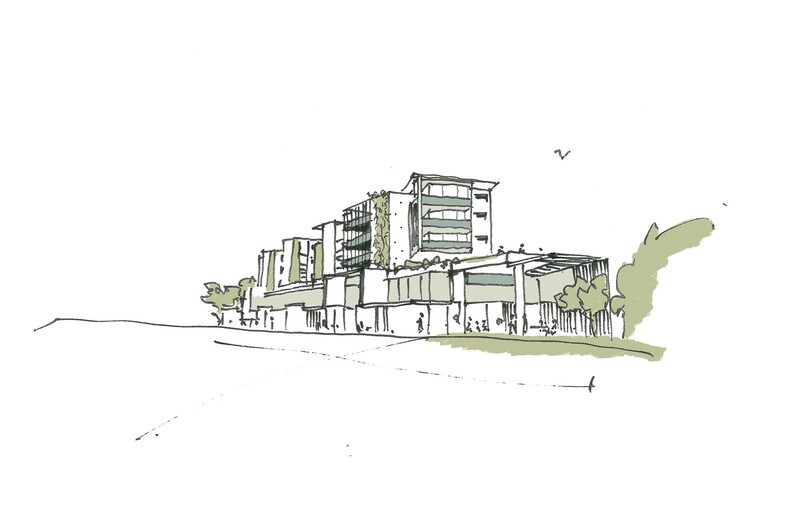 Mooloolaba Mixed Use Development will set a benchmark for its type on the Sunshine Coast. 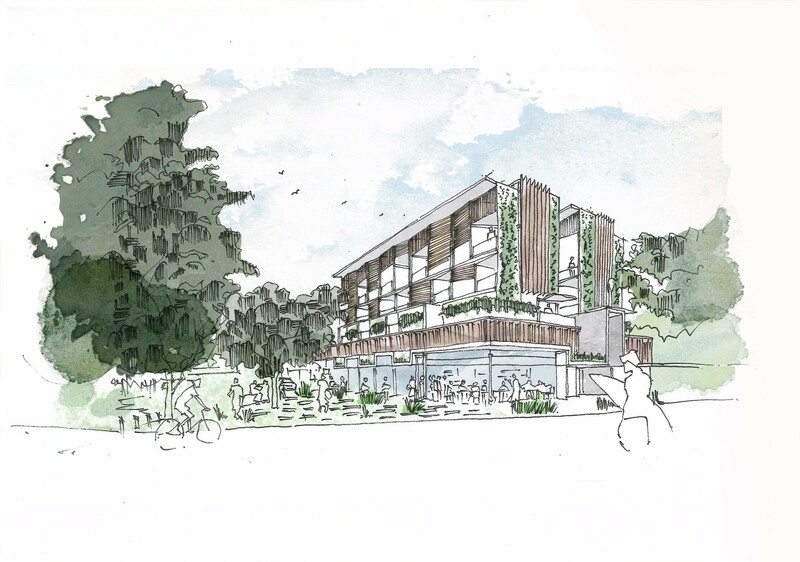 The mixed use, multiple housing project will be culturally and environmentally relevant with a focus on sustainable principles to respond to the growing urban place of Mooloolaba. 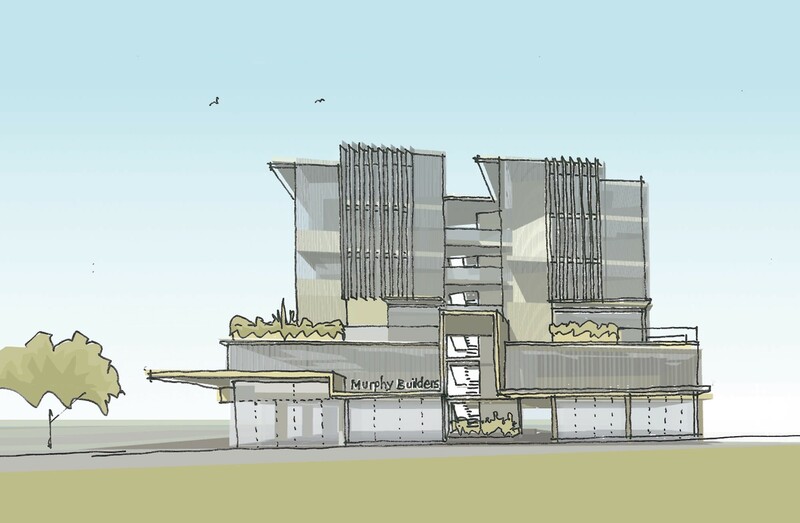 Bark were engaged by Murphy Builders to design a mixed-use multiple housing development on their site at Mooloolaba, gateway to the Sunshine Coast. The scheme extends the green waterway foreshore into a new north east landscaped plaza, activated with a series of ground level cafe restaurant and retail tenancies. On the first floor an office podium that includes the client headquarters sits beneath four levels of residential units and penthouses. The building is structured as two thin wings that open to the north and south. These breathable spaces embrace a central landscaped atrium. Vibrant retail spaces open to a new landscaped plaza to the north and enjoy the undulating scale of the street canopy edge; commercial offices form a defined horizontal podium with landscaped terraces and green screens above. 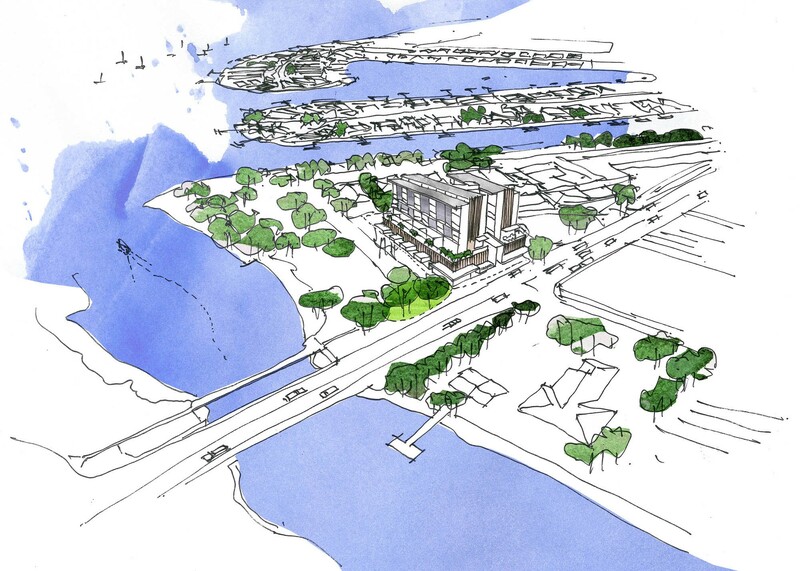 Residential mix allows various accommodation types including double height apartments allowing more to access the views over Mayes Canal and Point Cartwright headland to the north east. 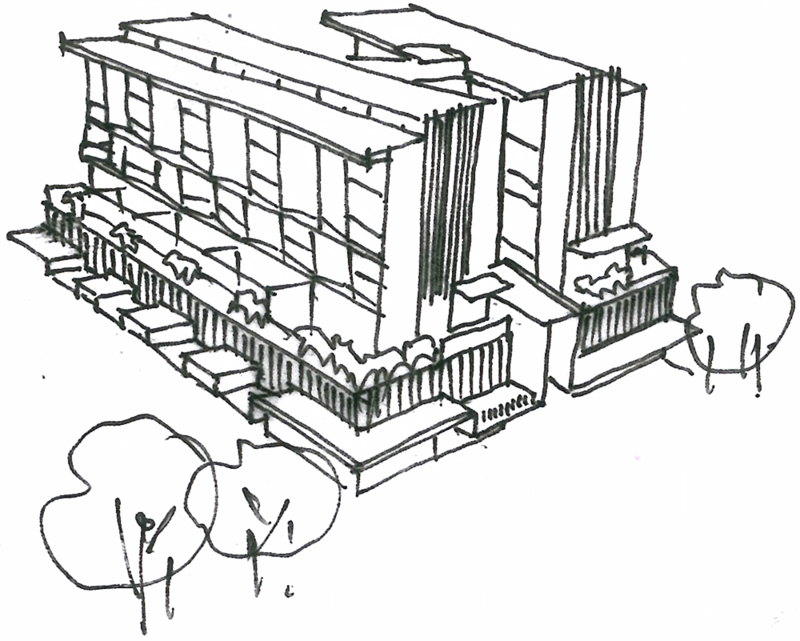 Our design vision was to create a landscape-rich mixed-use building highly attuned to its place that would go on to be an exemplar in its field. 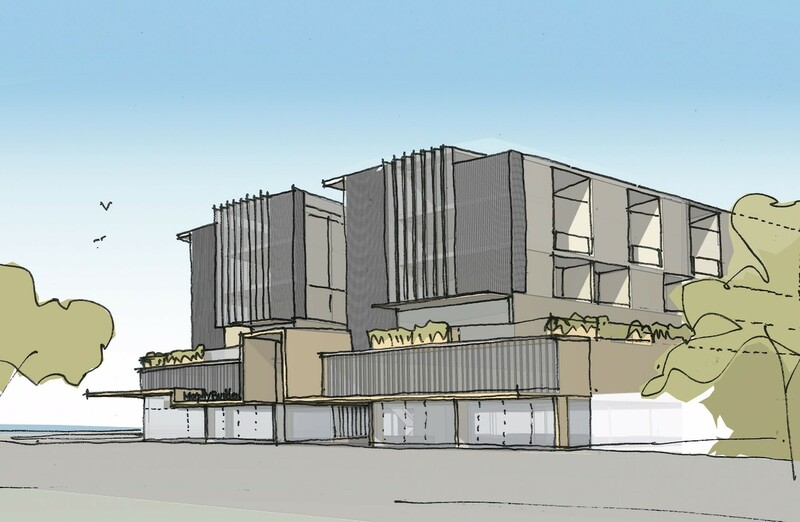 Highly efficient in natural climate control, smart passive design which responds to the growing urban place of Mooloolaba whilst looking to the future of Sunshine Coast architecture.